DSLR cameras that shoot video have taken the world by storm. Although the pictures are gorgeous, it is hard to achieve the same level of quality for audio recorded onto the camera. The preferred solution is dual-system audio: capture sound on a separate recorder and substitute this for the camera audio in post-production. DualEyes™ makes this complicated process a snap. 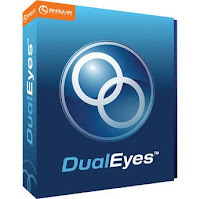 It uses the same underlying technology as its big brother, PluralEyes®, to automatically sync and cut the audio recording into clips that match the video clips. Bring them into your favorite NLE and you’re ready to start editing with great audio quality.